The city of Dundee welcomes the future of medical training in the form of surgical robots and virtual reality. It brings together Dundee University’s Clinical Skills and Surgical Skills Centres to form the first single site facility in Scotland offering both surgical and clinical training. The launch showcased the teaching and training provided at DIHS, along with opportunities for research and development. 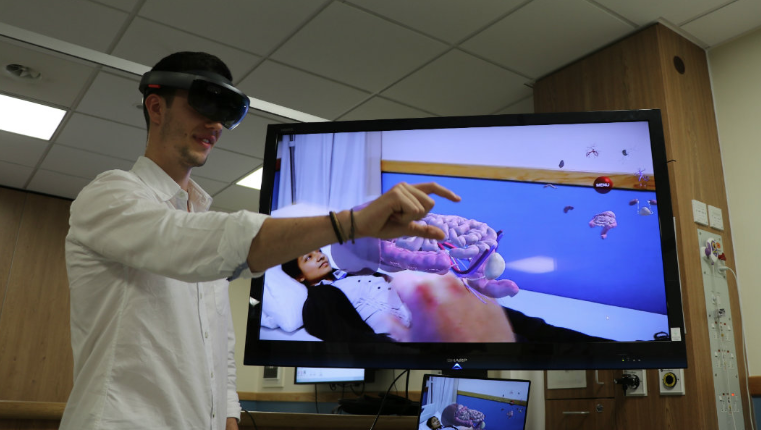 The Institute will show how augmented and virtual reality is used in clinical training as well as how the latest developments in surgical skills are transforming patients’ lives. DIHS are also developing the first training programme for robotic-assisted surgery in Scotland. Surgical robots, virtual reality headsets and interactive anatomy stations are among the hi-tech innovations that feature. The life sciences industry in Scotland welcomes even greater opportunities for learning and progression with the opening of the new Ninewells medical centre. This will continue to facilitate high levels of innovation and invention within the Scottish arena allowing for major future research breakthroughs.